Donald Trump joins 92-year old Beada Corum who was inspired to vote for the first time to discuss his 2016 campaign. 92-year-old Beada Corum says she has never voted before in her life… but that is about to change because of one 2016 presidential candidate- Donald Trump. In an interview on FOX Business Network’s The Intelligence Report with Trish Regan, Corum was introduced to the candidate for the first time ever, after his candid comments on America’s economy convinced her that he’d make a great president. Trump was equally impressed with Corum. The soon-to-be first-time voter said she is frustrated with current leadership in Washington. 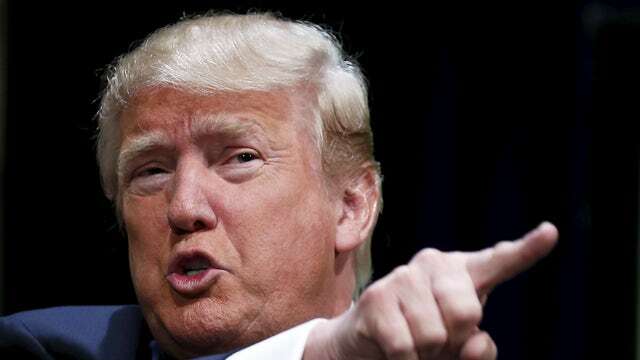 Donald Trump is one of 10 candidates who will be appearing in the first GOP debate on the Fox News Channel Thursday evening.